Basic insurance - the insurance excess reduction option will be offered when you collect the car. Additional authorised drivers (Note there may be an additional charge). No Credit Card required to make your booking. You will need a credit card when you collect the car. Please contact us if you do not have a credit card. No hidden fees - what you see is what you pay (based on the information you enter - optional extras are not included unless stated). Optional extras such as child safety seats, etc - these are available at an extra charge. You can select these options at the end of the booking process. Underage surcharges for young drivers. Why use DIY Car Hire? In just 3 steps, you can Compare rental rates for cars, campervans or commercial vehicles, Choose the best deal and Book online using our secure booking system. Find cheap rental cars with Europcar, Thrifty, Avis, Budget and Hertz in more than 300 airport and city rental locations in Australia, including Sydney, Brisbane, Melbourne, Cairns, Darwin, Canberra, Perth, Adelaide, Gold Coast, Hobart and almost everywhere else. 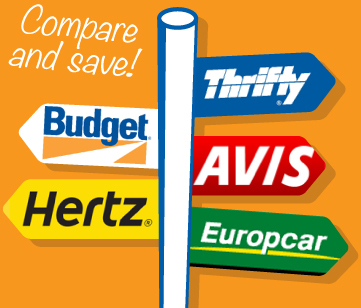 Compare rates to find the cheapest car or choose a low all-inclusive deal. It's never been so easy to find car rental deals in Australia and overseas. 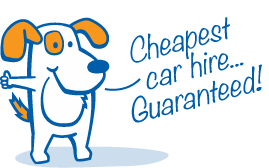 We've been helping people to find the best car hire deals since 2003.